It might sound bonkers to create a four-door car out of a two-door version of a four-door car, but that’s roughly what BMW has done to create the new 4-Series Gran Coupé. By grafting extra doors onto the 4-Series Coupé, itself teased out from the 3-Series saloon, BMW is catering for a niche within a niche. 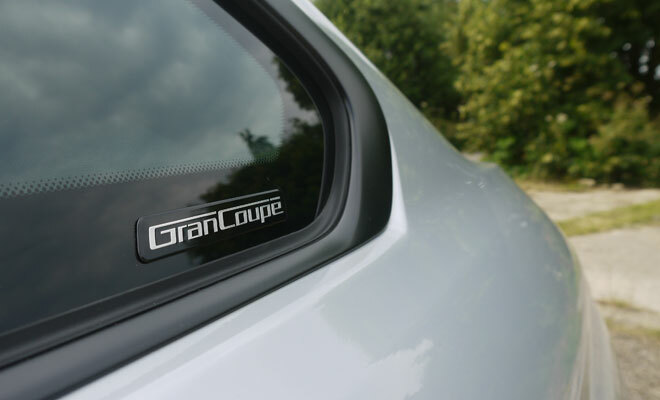 From the windscreen forward the Gran Coupé is identical to the two-door, while engines, transmissions and a host of interior components are shared across all three cars. 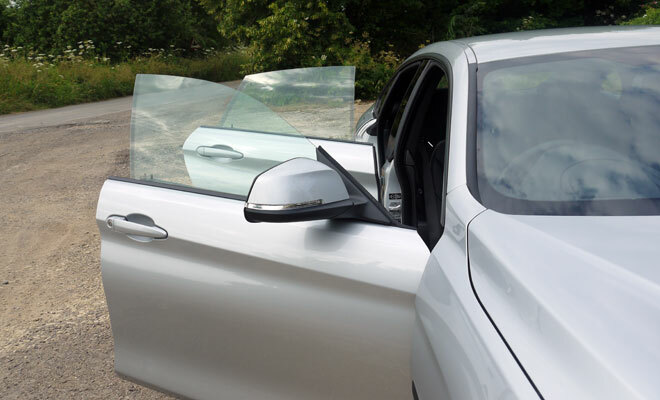 Thankfully there is a little more to mark the 4-Series Gran Coupé out from the 3-Series saloon than a quartet of frameless windows. Most notably, the new car is not actually a four-door coupé but a five-door hatchback. The tailgate is huge and comes with powered operation as standard in the UK. You might, therefore, argue that the Gran Coupé is more practical and versatile than the saloon, especially given that its 480-litre luggage volume equals the boot of the 3-Series, trumping the two-door Coupé by 35 litres. You’d probably need to grit your teeth to keep claiming practicality after trying the rear doors, however. On my first attempt at clambering into the back I bumped my head and virtually had to haul my feet in by hand. It might be a Gran Coupé but I wouldn’t advise squeezing any grannies into the back, though kids should be able to scamper in just fine. Similarly, there may be belts on the bench for three but I wouldn’t fancy more than five minutes in the middle. Utility is not the only reason to add doors, of course. At the new car’s launch, BMW said many companies refuse to embrace sporty two-door cars in their corporate fleets, but those same companies will presumably wave through a new five-door without peering too closely. Sales of the existing Coupé are about 45% corporate, apparently, but the Gran Coupé is expected to hit 60%. As a sleeker and more exclusive option than the 3-Series, the new five-door should tick a few boxes among image-conscious user-choosers. There is also a price differential compared to the 3-Series, naturally. Model for model, the Gran Coupé costs exactly the same as the two-door Coupé, meaning it will set you back roughly 10% more than a sensible saloon. 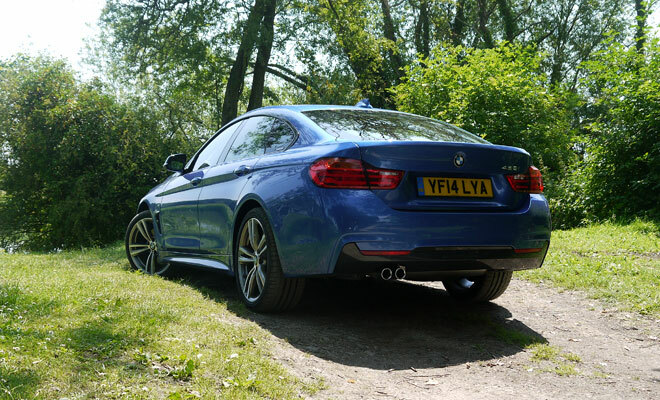 If you were plopped blindfolded into the driving seat, you’d find it tough to tell whether you’d landed in a Gran Coupé or 3-Series. Interior arrangements are practically identical. 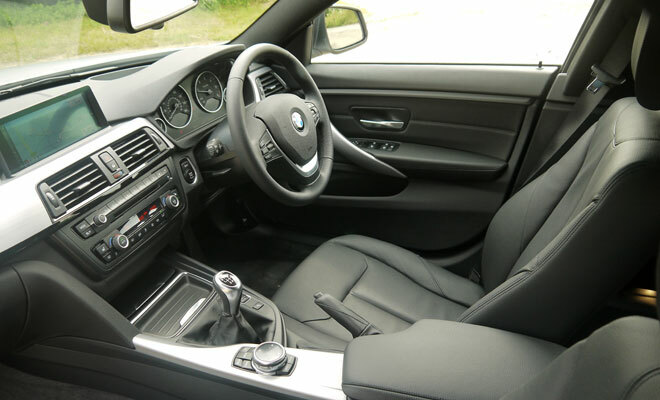 Which is fine, actually – the 3-Series offers very welcoming accommodation, is nicely built and thoughtfully laid out. It’s not perfect, though. While the wheel adjusts adequately for rake and reach, for example, the tiny range of movement within which you can actually see the instruments translates to little real choice in position. And a niggling rattle plagued both the Gran Coupés I drove, arising from the vicinity of the steering column shroud, which is fashioned from the lowest-grade plastic in the cabin. The rattle was quieter than the squeaking in the Mercedes CLA I drove last year, though, so that’s a result for BMW. The silver car pictured is the first of the pair I drove, a 420d SE diesel with six-speed manual gears and xDrive four-wheel-drive. 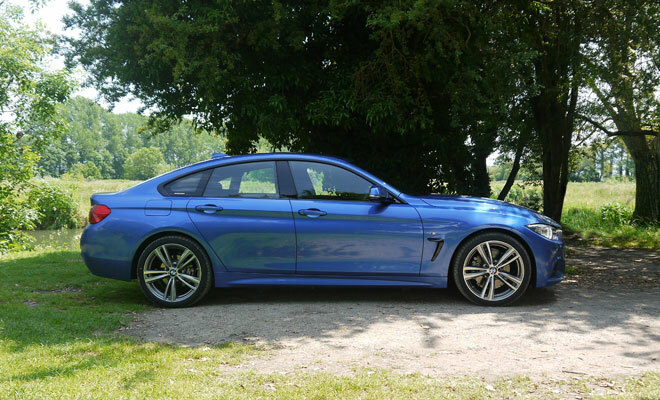 The blue car is from the upper reaches of the range, an automatic, petrol-powered, rear-drive 428i in M Sport trim. If it were a rear-drive model, the 420d SE would cost from £31,795 and be rated at 124g/km of CO2, with 60.1mpg for its combined cycle figure. Opting for xDrive has added £1,500 to the price, lifted CO2 by 5g/km and hit economy by 2.5mpg. BMW is pretty pleased with these results, however, given that the nearest equivalent Audi A5 Sportback fares much worse when its Quattro box is ticked. The 4x4 version of the A5 four-door coupé rises £1,655 in price, gains 14g/km of CO2 and loses 4.7mpg in economy. The 428i M Sport Auto starts at £37,335, by the way. The 420d is not the most economical Gran Coupé. There’s also a 418d that BMW expects will make up a fifth of sales, rated at 118g/km and 61.4mpg. Presumably using a toned-down version of the same 2.0-litre diesel, the 418d provides 143 rather than 184 horsepower and 320Nm rather than 380Nm of torque. As a result it’s 1.5 seconds slower to 62mph at 9.2 versus 7.7 seconds. There is (as yet) no 4-Series equivalent of the 109g/km 320d Efficient Dynamics. In the 420d xDrive I saw just under 50mpg indicated, despite giving both the throttle and the brakes a hammering in the interests of science. Under similar conditions the 428i yielded roughly 30mpg. 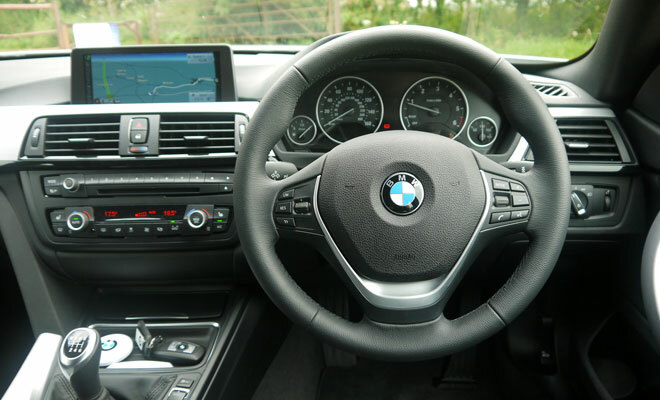 BMW’s manual gearboxes tend to be reliably good and the six-speed item in the 420d doesn’t disappoint, gliding from slot to slot as if swaddled in silk. The eight-speed auto is equally impressive, promising better CO2 and economy than the manual. Both gearbox options come with engine stop-start, triggered by the clutch in the manual and the brake in the automatic. The auto box I sampled was the sport version, provided with paddles behind the rim and, presumably, faster reflexes than standard. Apparently it can shift directly to the best gear in about a fifth of a second, potentially even hopping from 8th to 2nd if whipped hard from a dawdle to a sprint. When paired with the “professional” navigation system, part of a £900 media package fitted to the 428i, shifts are made in the knowledge of what the road ahead has in store, which is more than can be said for me fumbling with a stick. In the manual, the instrument cluster does deliver electronic reminders about when to change gear and also flashes up a picture of a blue foot from time to time, which I suspect means it doesn’t think much of my throttle action either. To be fair the blue boot appears only in Eco Pro mode, one of four modes on offer including Comfort, Sport and Sport+. You can step through the modes up or down using a rocker switch next to the gearstick. Toggled in one direction, steering weight, throttle response, gearshift action and aircon blast are all wound up, in the other they are eased off. If adjustable suspension has been optioned, it too toughens up or flakes out. The change from feather bed to bed of nails is quite pronounced and, if you have a sufficiently split personality, the trick suspension might be worth considering. It costs £515 to £750, depending on the trim level you start from. 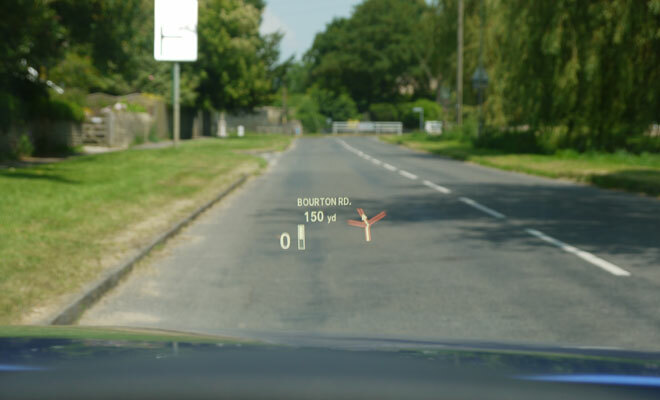 The full-colour head-up-display is another enticing option. It costs a gulp-inducing £825 but does mean you can position the steering wheel how you like it. 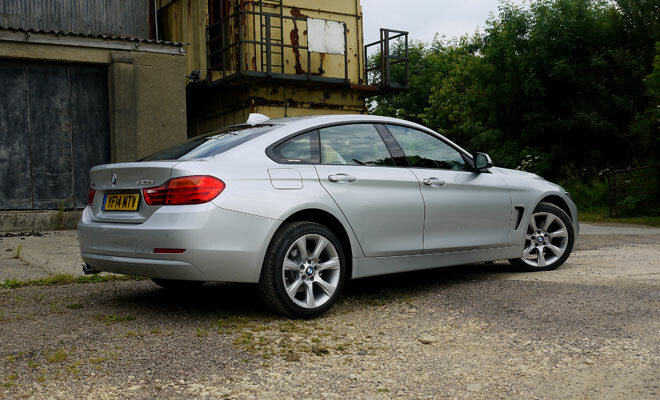 As with the 3-Series, the change in demeanour from Eco Pro to Sport+ has to be sampled to be believed. Comfort, the mode to which the car returns by default, is probably the best bet for most journeys. Eco Pro is generally reasonable but was not quite sufficient on the day of my test. Not because I wanted to hoon like a loon but because the bright sun and roasting air temperatures meant the toned down aircon couldn’t quite keep up. 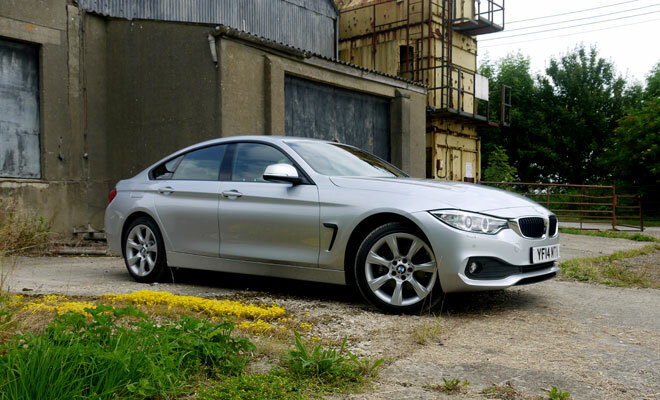 All told, the 4-Series Gran Coupé is a very likeable car, offering good looks, surprising levels of practicality, impressive economy and plenty of involvement for keener drivers. But you will need to like the looks enough to pay a hefty premium over the equivalent 3-Series saloon.